The 2017-2018 flu season is underway, and this year’s particularly aggressive strain is causing a higher-than-average number of workers to call in sick. Consequently, U.S. businesses could end up losing $15 billion in lost productivity, according to Challenger, Gray & Christmas, Inc. -- a global outplacement and executive coaching firm that crunched the numbers. Cases of the flu have soared across the nation and remain widespread in 49 states, according to the Centers for Disease Control and Prevention (CDC). Health officials have called this year’s flu season the worst in over a decade. Officials say the severe flu season is on track to equal the 2014-15 outbreak that caused 56,000 deaths and millions of sicknesses in individuals over the age of 18. "If this strain sickens as many people as during the 2014-2015 outbreak, over 18 million workers could miss work due to illness," said Andrew Challenger, vice president of Challenger, Gray & Christmas, Inc. 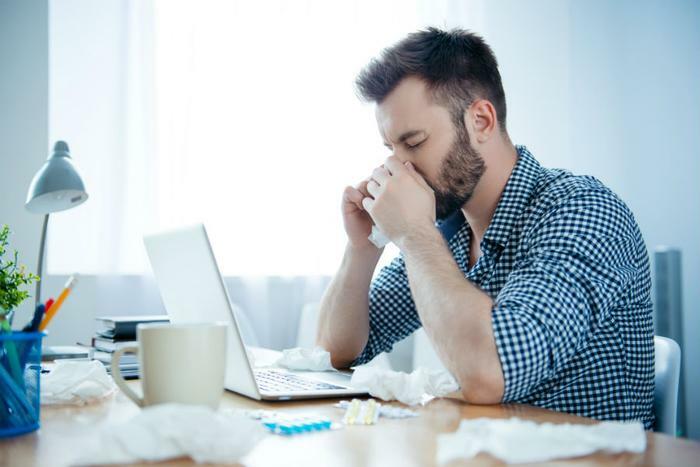 The firm estimates that this year’s flu virus could cause more than 18 million U.S. employees to miss at least four eight-hour shifts. At an average hourly wage of $26.63, it says flu-related time off could end up costing $15.4 billion in lost productivity nationwide. To help keep the flu virus from spreading to co-workers and interrupting business, health experts say it’s best to stay home if you’re sick. Encourage telecommuting. This will keep people off of public transportation and out of the office. Limit meetings. If there is no need to gather large groups of workers in a confined space, then do not do it. Meetings can be conducted via conference calls or video conferencing, Challenger says. Institute flexible leave policies. This will allow parents to care for an ill child or one who is home due to school closures. Provide no-touch trash cans and hand sanitizer. This will ensure that workers are not spreading germs in the office space. Encourage employees to wash their hands frequently. Additionally, employers can tell workers to avoid handshakes and take other hygienic precautions, such as wearing a mask in heavily populated work areas. Increase the number of shifts. This will reduce the amount of people working in the office at one time.